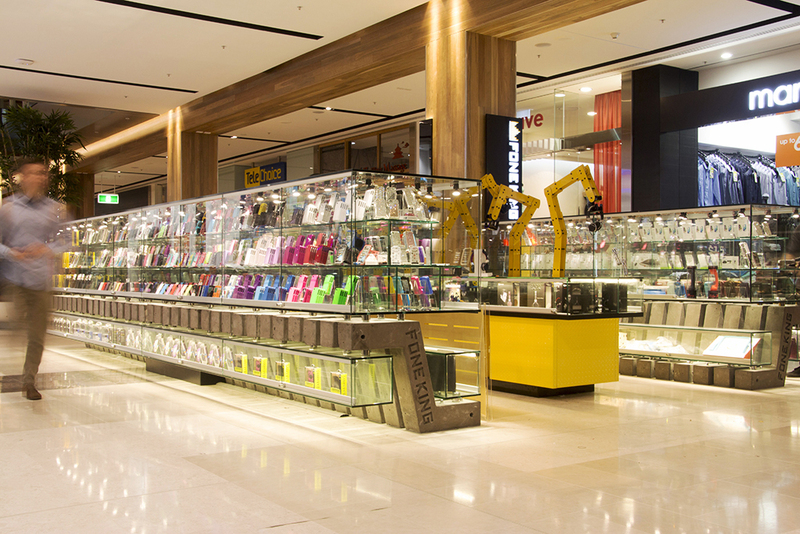 Joinery manufacture and shopfitting from provided architectural drawings/design brief. 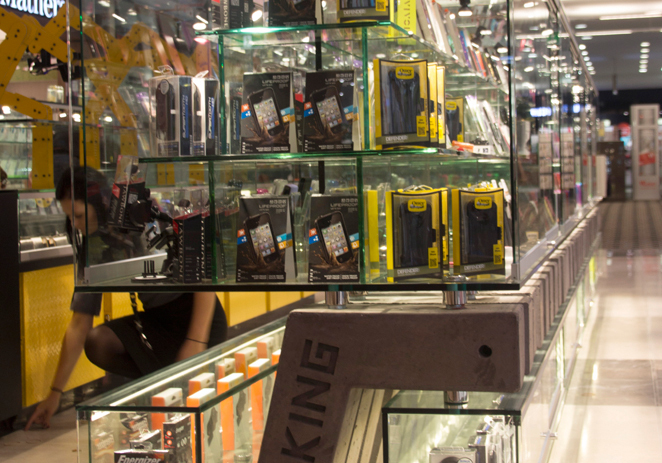 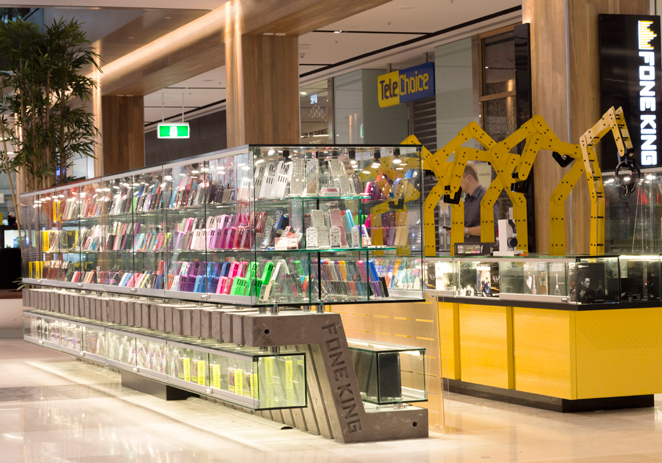 An innovative concept for a mobile phone accessories kiosk, JBM Projects worked alongside the designer and engineers to deliver this complex, high quality fitout that exceeded the clients high expectations. 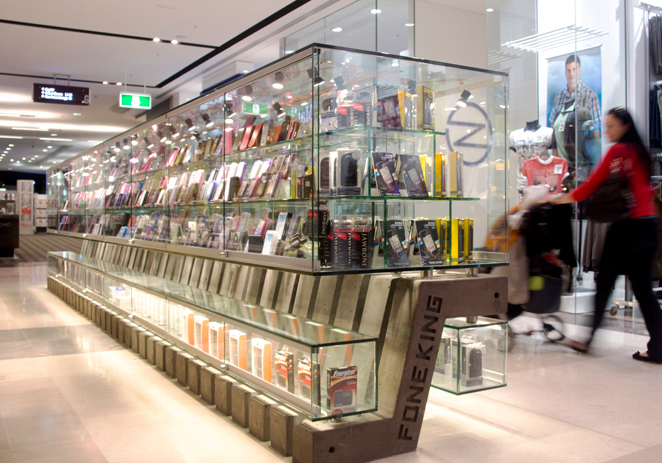 Pre-cast concrete ‘z’ frames support floating frameless glass display cases with integrated, laser-cut copper LED lighting. 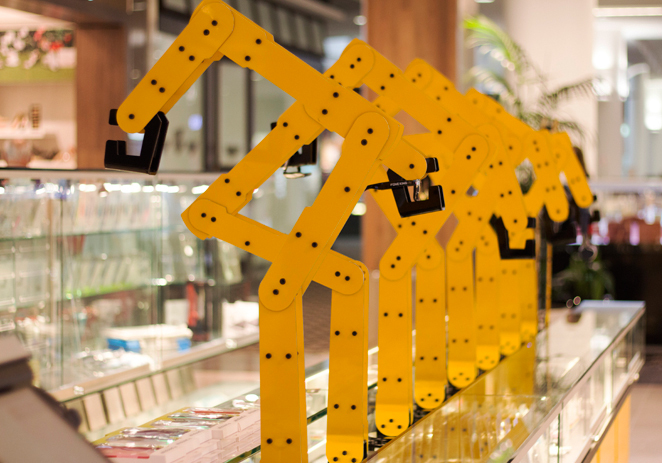 Bespoke, bright yellow, robot display arms were manufactured by JBM projects to create an unique display opportunity.